We have provided professional commercial moving services in Orlando and Central Florida since 1968. We’re a locally owned, full-service commercial moving company that provides fast, efficient, and safe one-day moving services for businesses of all sizes. 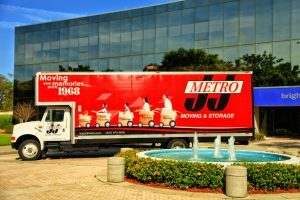 J&J Metro Moving and Storage has been performing commercial moves in Central Florida since 1968. The expert commercial moving crews from J&J Metro are prepared to move your office, warehouse, or both in a professional way that meets your needs. We have done it thousands of times over the years and have a large client base whom we continue to service on a regular basis. We are your Top Rated Local® Orlando commercial movers. In addition to moving your business, J&J Metro can also handle your receiving, storage, and document storage retrieval needs. No job is too big or too small; we can move one desk or relocate your staff of 4,000 people. Since 1968, we have moved small local businesses as well as some of the largest companies in Florida. J&J Metro Moving and Storage has made it easy to manage your company’s office move by offering a single point of contact to coordinate your move. Our commercial moving division is made up of professionals who are trained to handle virtually every type of office and industrial relocation, such as, company-wide office moves, removal and installation of furniture, as well as the relocation of capital equipment and sophisticated computer networks. We offer both in-house and on-site project managers to assure that everything our commercial movers do is handled professionally every time. 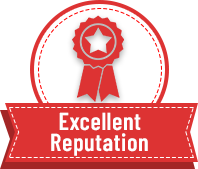 Our high standards in integrity and trustworthiness have helped us to become Orlando’s leading office movers. 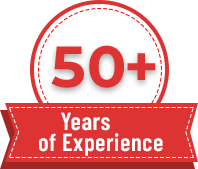 We have dedicated more than 50 years to performing commercial moves. Our expertise includes the relocation of technology companies, manufacturers, hospitals, courthouses, and laboratory facilities, in addition to many more. In this way, our reputation tends to speak for itself. At J&J Metro Moving and Storage, we are experts in commercial and facility moves. Our goal is to satisfy our customers’ needs by providing high-quality commercial moving services and storage solutions. If you’re interested in receiving a no-obligation, free estimate for a commercial move, please call us at (407) 875-0000 or click to contact us online. Why Choose Our Orlando Commercial Movers? In a sea of commercial movers in Orlando, how do you know which moving company offers reliable, trustworthy, streamlined moving services that meet your needs? At J&J Metro Moving and Storage, we make finding and choosing a dependable moving company simple: just call our Top Rated Local® commercial movers to help! Here are some of the reasons why working with our moving team will be a decision you can look back on and be proud of making. There’s something to be said for working with an experienced moving company. Since 1968, our moving company has grown with each moving job we book. We have historical roots in Orlando and we’re proud to say we’re a local, family-owned business that always puts our customers first. That being said, we understand that choosing a commercial moving company is no small decision to be taken lightly. That’s why we want our customers to feel confident that their property and livelihoods are in the hands of experienced, highly qualified, professional, and dedicated movers. In our 50-plus years of moving small and large businesses in Central Florida, we have fine-tuned our moving practices and have continued to become safer, faster, more efficient, and more dependable, all while striving to exceed our customers’ needs and expectations. Along with our more than 50 years of experience in moving businesses of all sizes and industries in Central Florida, our Orlando commercial movers are committed to honesty, integrity, safety, security, and excellence in everything we do. When you hire commercial movers to move your business, you want to have complete and utter trust that they will relocate your property safely and securely. 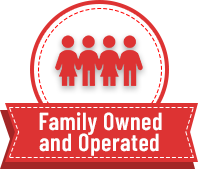 As a local, family-owned business with more than 50 years of experience under our belt, our goal is to not only move our customers’ belongings from point A to point B, but to also provide our customers with peace of mind and confidence with each and every move. 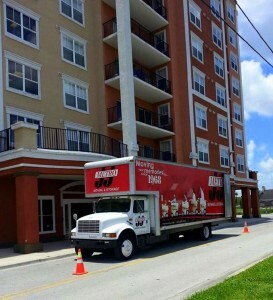 From providing honest, fair, and accurate commercial moving estimates to handling our customers’ property with the utmost care, we stand by our unwavering commitment to honesty and integrity, which has helped us build an excellent reputation as trustworthy and reliable commercial movers in Orlando. When it comes to relocating your belongings, we want you to have complete confidence in our commercial movers. We understand that when business owners hire movers, they are essentially trusting them with more than just their property, but also with their memories and livelihood. We understand that trusting strangers to move your property can be quite unnerving, so let us reassure you by outlining the values we adhere to company-wide. Are dedicated to safety and security Regardless of whether our office movers are relocating a few office desks and chairs, or an entire complicated computer network that helps your industrial business thrive, you can rest assured that we will pack, handle, load, move, and unload each and every piece of your property with extreme care and safety. Read more about our top-notch Moving Fleet here! In addition to safely moving your belongings, we extend our safety practices to ensure the safety and well-being of everyone we come into contact with — even pets! Our strict adherence to local, state, and federal commercial moving guidelines helps to ensure our customers, employees, and others are safe from harm during a move. As a Top Rated Local® commercial moving company in Orlando, we are wholly committed to customer satisfaction. Since 1968, we have strived to not only achieve an excellent reputation as a high-quality commercial moving company, but we have also remained determined to exceed this reputation. To put it simply, we want to be the best in everything we do so that we can be your go-to commercial movers, who you can trust during every step of the moving process. In our years of providing commercial moves for Central Florida businesses just like yours, we have built lasting relationships with our customers. As a local, family-owned-and-operated business, we want each and every customer to feel as though they are part of our extended family. This is why we are wholeheartedly dedicated to providing safe and efficient moves, backed by friendly, kind, and caring customer service. In our decades of serving Orlando, we have maintained a long-standing A+ rating with the Better Business Bureau, making us one of Central Florida’s most trusted commercial movers. We are recognized as a Top Rated Local® commercial moving company in Orlando, which we earned by consistently meeting and exceeding our customers’ needs, who have then rewarded us with outstanding customer ratings on Top Rated Local® and other review platforms such as Google, Yelp, and Facebook. For that, we are eternally grateful and thank each of our loyal customers for helping us become a successful commercial moving company that always strives to be the best. Read our Reviews to see what our customers are saying about our business movers. At J&J Metro Moving and Storage, we’re proud to offer business owners full-service, streamlined commercial moving services that cover every step of the moving process. In doing so, our goal is to make your move as quick, efficient, and stress-free as possible, so that your business can continue to thrive. But what does a “full-service” commercial move entail? Here are some of the benefits of working with our experienced Orlando commercial movers. We offer a single point of contact to plan, organize, and oversee every step of your business relocation. Working with one project manager ensures all the moving parts fall seamlessly into place, while allowing our project managers to build relationships with our customers. This helps to ensure that we’re meeting the specific needs and requests of your unique business move. We streamline your commercial move by using a sophisticated, innovative, comprehensive moving company software built by movers, for movers. MoveitPro™ moving software allows our project managers and moving crews to organize and complete each task of your commercial move with accuracy and precision. This software also allows us to stay in communication with our customers to enhance transparency and efficiency. We offer commercial moving services ranging from securely packing your belongings to carefully loading them,and transporting them in our secure moving trucks. According to your direction and preferences, our commercial movers will then safely and carefully unload your property in the areas you see fit. Our experienced office movers can easily uninstall furniture, complicated computer systems, appliances, and more, so you don’t have to. We can then transport and install these objects in your new business location, giving you more time to focus on other aspects of setting up your new location. 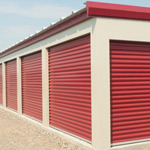 We offer short-term and long-term storage services in our secure, state-of-the-art storage facility. With our storage services, we offer options like packing and crating and can customize these services to meet your specific requirements. Our storage facility is fully equipped with a fire-detection system, sprinkler system, and a top-of-the-line security system. Our commercial moving and storage company is flexible with your storage needs, and will go above and beyond to make sure we meet and exceed your expectations. As an added level of convenience to make your move stress-free, our commercial moving and storage team can handle your receiving and document storage retrieval needs during your move. Just let our team know how we can help! When you work with J&J Metro Moving and Storage, our commercial movers are devoted to making your business relocation fast, efficient, safe, and stress-free. We’re 100 percent committed to excellence in everything we do, we’re driven by complete customer satisfaction, and we’re dedicated to completing your move in a safe and secure manner. Your confidence in our commercial moving company, your trust in our office movers, and your peace of mind are of the utmost importance to us. What’s more, there’s no moving job too big or too small for our commercial movers, so we can help virtually any type and any size business in central Florida relocate to a new location. When you have to move your business, choose the experienced commercial movers in Orlando who will always deliver the highest standard of quality, professionalism, and excellence. Call J&J Metro Moving and Storage or reach out to us online to request a free, no-obligation commercial moving estimate. Experience the benefits of working with Orlando’s Top Rated Local® commercial movers.